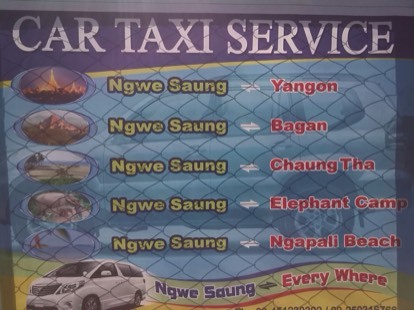 Our taxis will pick you up at Yangon International Airport or at your hotel in Yangon or Pathein and we will make sure that you arrive at Ngwe Saung Beach safe and happy. 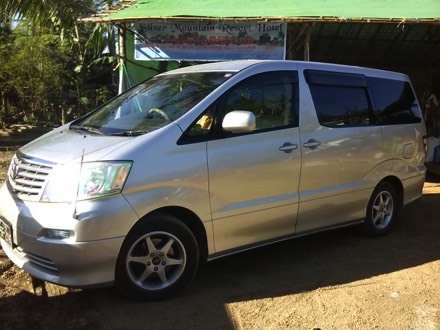 We also provide guided tors with car and driver to all destinations in Myanmar: Bagan, Mandalay, Inle Lake etc. As we know all of the hotels & resorts in Ngwe Saung Beach very well we can help you to find the place that suits you best. Simply send us a message with your request and needs and we will recommend you some suitable houses.